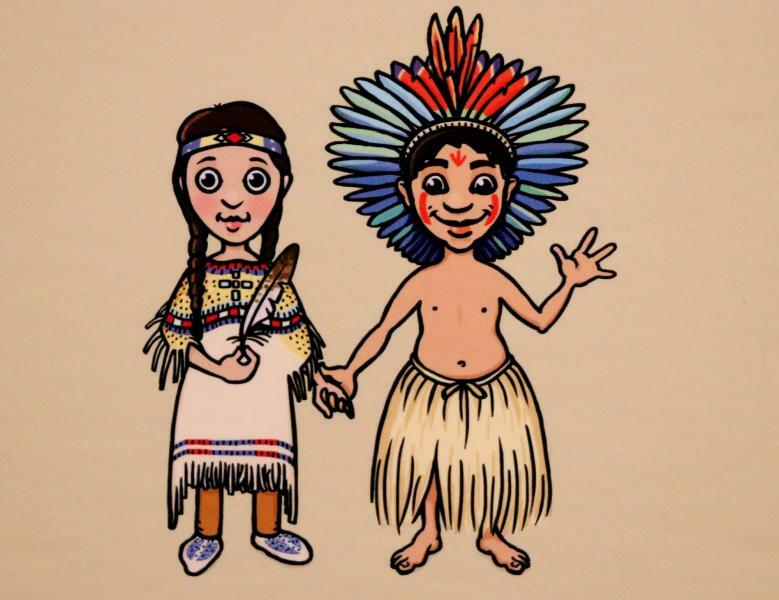 Come and take a look into the world of the indigenous peoples of North and South America. Part of the exhibition "Indigenous peoples of North America" ends on February 17, 2019. 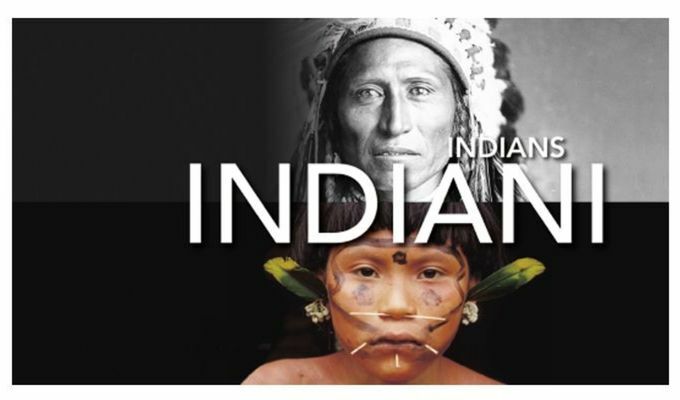 You will be guided through the world of Native Americans by original collection pieces acquired by Czech explorers and researchers, large-scale photographs and authentic film and audio recordings. Discover National museum and this Exhibition with a single click! 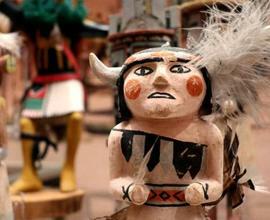 The first part of the exhibition shows the diversity of the indigenous peoples of North America. The culture of the indigenous peoples of the Great Plains is connected with horses and bison hunting. During our journey, we will visit totem carvers and makers of Pueblo pottery, who are known to this day for their pottery with geometric patterns. 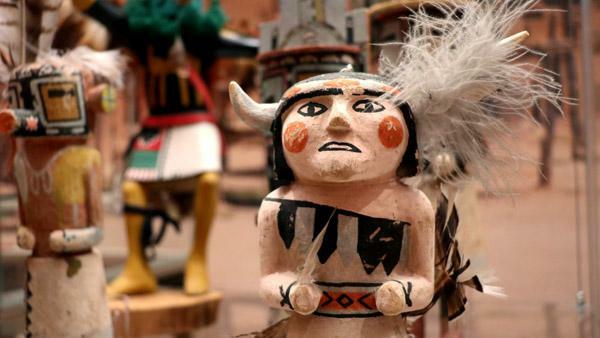 Get a glimpse of the secret ceremonies of the Pueblo peoples, where masked dancers represent ancestral spirits. We will show you the art of Navajo weavers and jewellers and the culture of Iroquois hunters and gatherers, with their sophisticated democracy. Towards the end of our journey across North America, we will visit the Arctic and its inhabitants, the Inuit, who we can thank for the inventions of kayaks, igloos and also the hooded parka jacket. 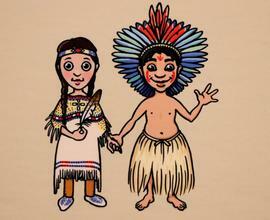 The second part of the exhibition introduces the present and past of South American cultures. Let us take you on a journey full of adventure, deep into the forests, savannahs, deserts and mountains of South America. The exhibition’s leitmotif is "the search for El Dorado” – the mystic land of gold imagined by the European conquistadors. We will deliberately not follow in their footsteps. First, we will submerge in the tropical jungle, to travel through the coastal archaeological sites to the Andes and Lake Guatavita, where the ritual “coronation” of a new ruler is taking place right now. His raft, covered in gold dust, floats in the middle of the lake, where a goddess confirms his chieftainship. And so we find the mystical El Dorado. We will discover it not in the form of mammon and material wealth, but as symbolic ritual and spiritual enrichment. We will show you the native South American cultures and traditions that we admire to this day, for their diverse lifestyles; their perfect adaptation to the environment and respect for it; their ingenuity, aesthetics and craftsmanship; and, most importantly, their strong spiritual tradition, which lives to this day.